REDDING, Calif. - Simpson University will host a talk and book signing featuring visiting scholar Dr. Stephen Backhouse and his award-wining 2016 biography on Danish philosopher and theologian Soren Kierkegaard. The event, which includes time for questions and answers, is free and open to the public. It is scheduled for 7 to 9 p.m. Wednesday, March 1, in LaBaume-Rudat Hall, room 102 at the university, 2211 College View Drive. Copies of “Kierkegaard: A Single Life,” which Christianity Today magazine named in December as its Biography of the Year, will be available for sale. 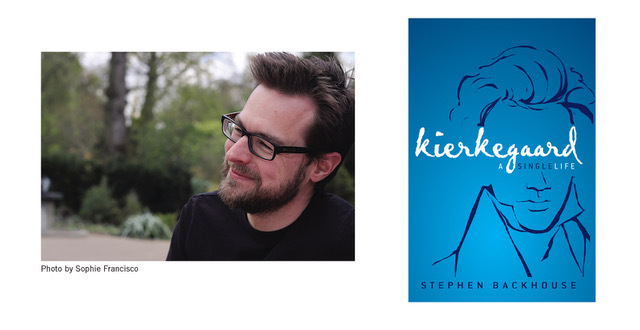 “Stephen Backhouse has given us a wonderfully lively and sympathetic portrait of one of the greatest minds of the nineteenth century, sparing us nothing of Kierkegaard’s abrasive, contrarian personality, but also illuminating the extraordinary courage and spiritual depth of the man,” wrote former Archbishop of Canterbury Rowan Williams. Dr. Backhouse is professor of political theology at St. Mellitus College in London. He is on sabbatical in Redding, working on his next book.